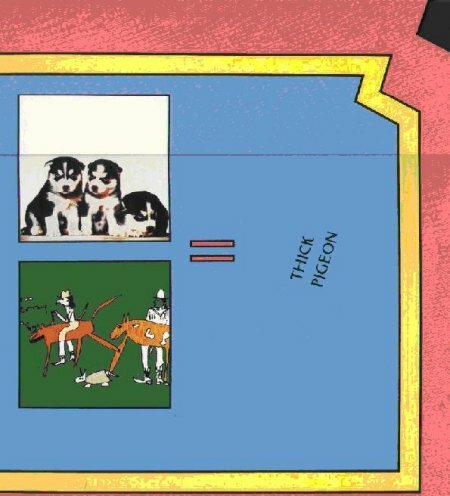 One of my all-time favourite Factory sleeves; title originally supposed to be 'Two Crazy Cowboys' as indicated on Fac 131; Thick Pigeon (ostensibly Stanton Miranda plus a rotating roster of guest musicians) personnel on this release: Stanton Miranda, Carter Burwell, Steve Morris, Gillian Gilbert, Kim Gilbert (Gillian's sister), Karen Brown. Burwell left at this point to seek fame and fortune as a film scorer. He's worked on every Coen brothers film and "Being John Malkovich," as well as roughly fifty other movies. More at this link at www.imdb.com. He would rejoin for the "Miranda Dali" CD.